The fondest memories of my childhood all include food. Unfortunately for me, most of these delightful snacks were fly-by-night novelty concoctions. How was I to know Ghostbusters candy wouldn’t be around forever? Knowing I’m not the only one with such a dilemma, I present to you these eight lost snack foods. Interestingly enough, a web search reveals that only one picture of this gum was ever taken. Nothing quenches your thirst like a sports drink. And nothing quenches your craving for a sports drink like sports drink gum! 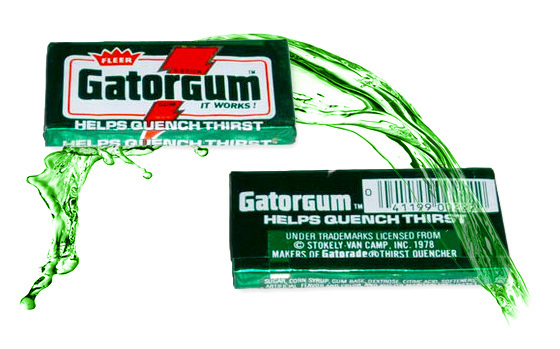 The package claims that Gatorgum “helps quench thirst” and that “it works”. Some gum chewing fanatics report that this gum was so strong, they needed to spit it out and take a swig of a beverage. It’s unclear whether that beverage was, indeed, Gatorade. The gum’s failure was that it didn’t completely replace the beverage. It never proved to be a good alternative to dumping Gatorade on a coach. I can still see that creepy cookie face when I shut my eyes. These delightful snacks are a sandwich cookie with a creepy face on them. Even though the face horrified me, I kept eating them. Perhaps my logic involved eating all of them before they ate me. I’m kind of glad they stopped making these cookies before I saw the horror flick Dr. Giggles. I don’t think I would have ever been able to eat another one. Yes, that’s Seth Green with the pudding mustache.Legend has it that two executive assistants were delivering memos in a corporate office. By chance, they bumped into each other and mixed up their notes on Pudding Pops and Fruit Roll-Ups. Not a company to look a gift horse in the mouth, General Mills ran with the idea and created these pudding flavor inspired sticky snacks. It’s hard to say if Pudding Roll-Ups were actually good, but the jingle was definitely a hit. It really oozed out if you squished it. Wrap your head around this: it’s soda flavored gum with soda syrup inside! Biting into a piece of Dr. Pepper gum is a flavor explosion. Over the years, I’ve attempted to track a pack down. Unfortunately, the closest I’ve come was the seeing a roll on display in a Dr. Pepper museum. Who’s with me on a petition to bring this one back? 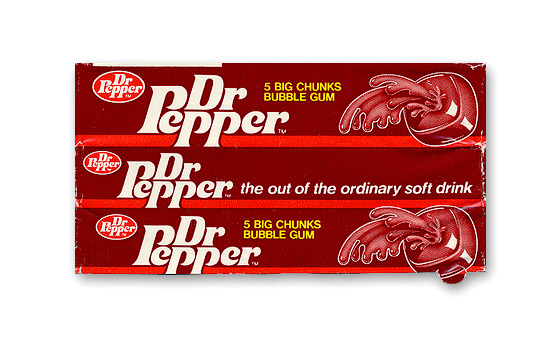 UPDATE: Dr. Pepper gum is back, minus the inner-goop. 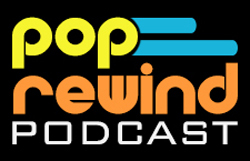 Check out our re-cap here. My Google skills failed me on this one, so no pictures. The goop for these gummy snacks was poured into a plastic tray and given a flat backing. What resulted was an eye-popping Slimer face on the front and a completely flat back. It was kind of like a wiggly smashed gummy bear. Years after the Ghostbusters franchise had its run, movie theaters were still giving these away as part of the kiddy trays. The square pieces were supposed to be nets. This was a magical taste combination of sugary shapeless marshmallow pieces and Chex-like pieces. There was something unique about the taste of this cereal. It was so good and memorable that I wouldn’t put it past the cereal maker to have used real ooze as an ingredient. A few years back, I was excited to find a box of Ralston cereal at the dollar store. It was essentially the TMNT cereal minus the marshmallow and, disappointingly, the sugar. 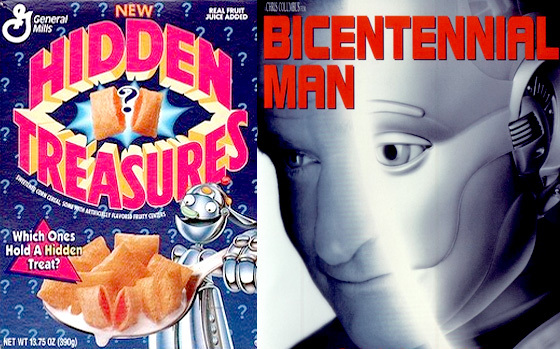 Many years later, the robot on the package would get another acting gig in the movie Bicentennial Man. It looks like Cap’N Crunch on the outside, but the inside was filled with cherry, orange, or grape sludge. Every bite was a surprise and, because the flavors were indistinguishable, the only way find out what you ate was to spit it out. Why don’t they make these anymore?If the commercial is any indication, Fruit Wrinkles will change your life. The problem with that marketing is boredom isn’t such a problem when you’re five. It’s when you’re 25, at your first crappy adult job after the excitement of college, that you could really use a package of Fruit Wrinkles to transform those lousy reports on your desk into a be-boppin’ rad time. Did we miss some of your favorite lost snack foods? Tell us about it in the comments below! Yuck. The Dr. Pepper gum was terrrible. If you track a package down, throw it away. I remember it not tasting like Dr. Pepper at all, more like a chemical with an almost spicy flavor. I used to love those nasty little gummy trays. So good but made of nothing but pure sugar and corn syrup. 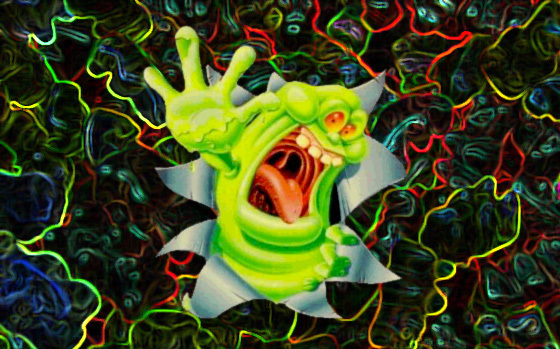 How about the Slimer gum tube? I used to chug those things, as sickening as that sounds. It was more the consistency of toothpaste than gum, and if the tube was left in the car on a hot summer day, you’d find yourself with a gooey mess contained in a tube like some sort of toxic refuse. I remember the Gatorade gum. It was something I purchased often, but couldn’t tell you why. I think I was fascinated by the fact that there was a gum flavored after a drink because I also bought the Dr. Pepper gum. I have less recollection of Dr. Pepper Gum, but the Gatorade gum was definitely intense. It was very strong. Do you remember Cheetos Cheesy Checkers? I was absolutely addicted to them around 96-99…ish They came in a purple bag and were delicious. They’re in my top 2-3 foods that I’d love to see make a return. TMNT Turtle Pies and Ecto Cooler (even though it’s a drink) are also high on my list. Man, I loved the pudding roll ups. And the fruit wrinkles. Fruit snacks just don’t taste as good as they did back them. Damn kids, get off my lawn. HolidazeBlog Cheetos Checkers were amazing. There is a piece very similar in the new Cheetos Mix-Ups.